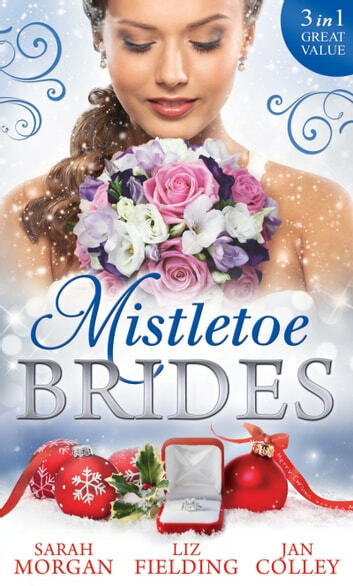 Sleigh-Bell Bride Liv Winchester has avoided men since her ex left her. But wealthy consultant Stefano Lucarelli is stunned by this single mum. He takes her to the Snow Ball, giving her a designer dress, diamonds and a babysitter. Will this magical night convince her to be Stefano’s bride? Christmas Angel Lady Roseanne Napier needs a break from being the ‘nation’s angel’ for just one week, so she’s trading places with a lookalike. Who is the real Lady Rose? Only brooding billionaire George Saxon can find out… Vienna Bride The engagement was a fake, a desperate plan by Jasmine Cooper to pacify her dying father. Shameless flirt and financial whiz Adam Thorne saw an opportunity. Jasmine had once wounded his pride. So he’d accept his onetime lover’s impulsive proposal and enjoy the heat of holiday passion.